Intelligence, Integrity and Courage is a light grey creme with a touch of blue in it. I didn't post it as a Monday Blue just because it doesn't look that blue in pictures and I didn't want to cheat. I'm not a big fan of the name of this polish because it's long and hard to remember, but I'll have to get used to it. I guess I'll just call if IIC from now on. The color is indeed gorgeous, elegant and perfect for autumn and winter. The formula was the creamy smooth perfection that is characteristic for China Glaze polishes. I used two easy coats and they instantly dried to a shiny finish. The pictures above are without any top coat. I added a little stamping with a lace-like pattern from plate BP-02 from the Born Pretty Store. I used the same image but flipped it after doing half the fingers, so it looks a bit different because those fingers have a different area of the image stamped on them. I used Konad Black for the stamping. I really enjoyed wearing this manicure. The lace pattern makes it incredibly classy and it really goes with the neutral color of this polish. My favorite look was the one on the ring and pinkie fingers. Don't forget that you can use code MFL91 to get 10% off your Born Pretty Store order. I hope you enjoyed this too and I can't wait for your opinions in the comment section! I absolutely love this look. 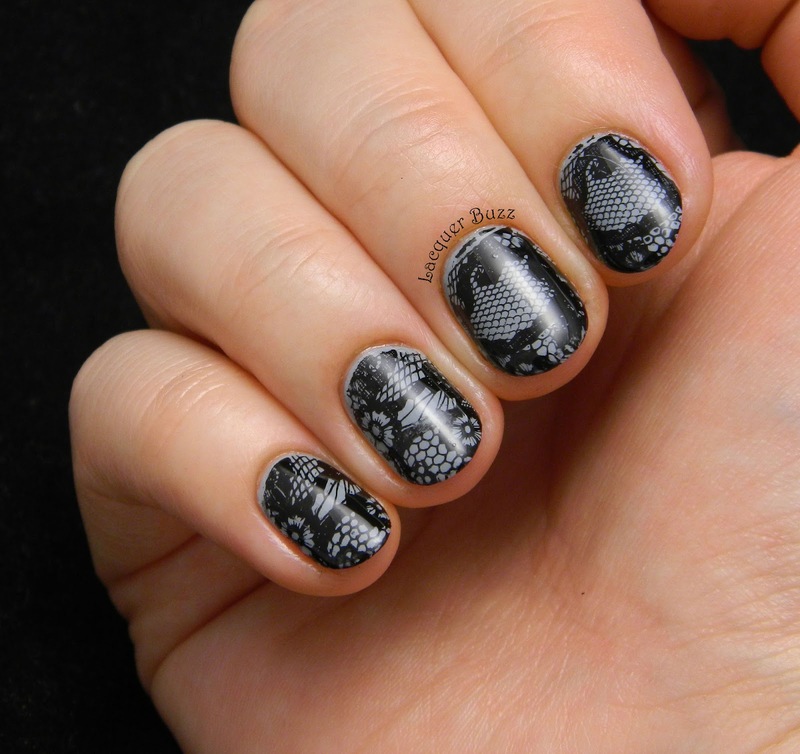 Grey is my alltime favourite colour for my nails and the lace stamping is just gorgeous! Such an amazing manicure! I love lace patterns! Great color and the lace stamping looks perfect on top of it. I love the lacy design you chose!